Passion for cars. Dedication to our customers. We are H TECH Styling. Founded in 2003, H Tech Styling was born from a shared vision between father and son owners; Richard and Chris Howlett. 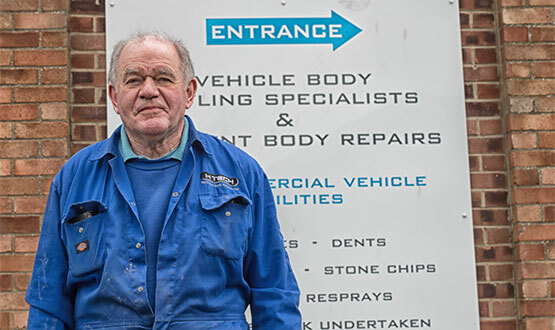 Our vision was to create a bodyshop based on two core values; honesty and quality. Over the past 15 years, we have worked hard to shape H Tech around these foundations to provide you with the fantastic service we offer today. Every customer whether new or returning, deserves to be treated with respect and honesty. 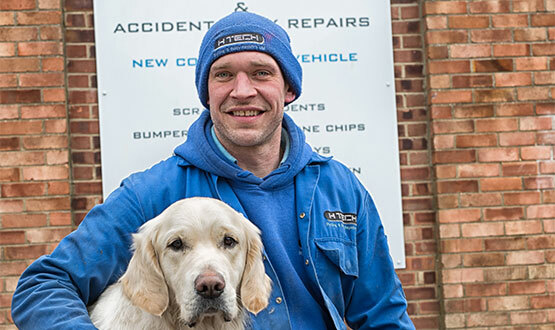 Whilst we aim to get your car back on the road as soon as possible, H Tech Styling isn’t focussed on large turnover or super quick turnaround; we’re focussed on uncompromising quality. Getting the job right first time is essential to standing true to our values. We achieve this by combining our extensive skills, knowledge and professionalism with the latest industry leading materials. Our business is purposely kept small to ensure we can focus on offering you the same level of friendly and professional service each and every time. I’m in control of the workshop and oversee each and every job from start to finish. I work alongside my two hard-working colleagues; Darren and Kyle who share our core values. What’s most important to me is ensuring every customer is 100% satisfied with our results. A happy customer spreads the word and returns in the future. If you are looking for us to carry out some work, I am your port of call. I deal with all of the customer liason and make sure that you are kept up to date with our progress. When each job needs respraying, I will assist in order to ensure that all jobs are thoroughly prepared. I give that extra pair of eyes to ensure nothing is missed so we stay true to our quality guarantee.